FISH307.com is a Cannon Authorized Service Center. Our Service Rate is $80 per hour plus parts, applicable tax, and freight. For in-shop service please ship your unit to us and remove the booms and rod holders before shipping. 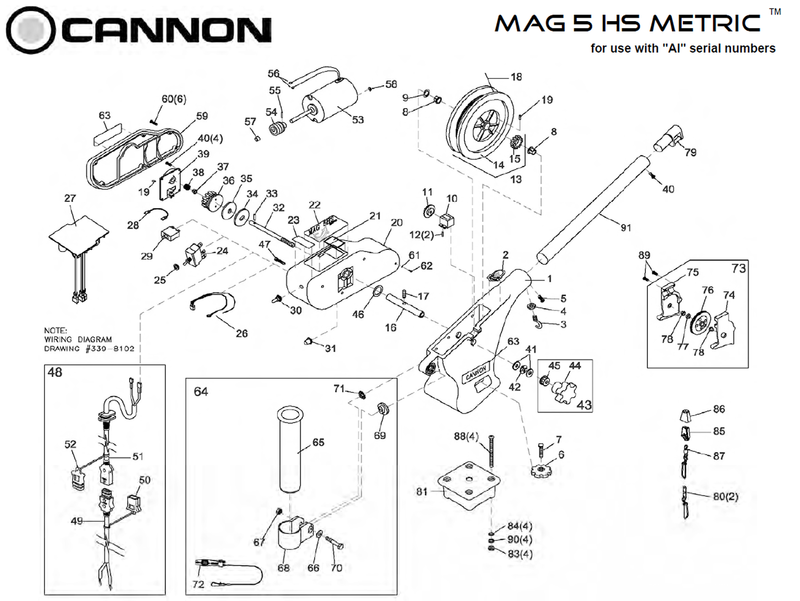 Cannon Downrigger Part 9430160 - WASHER-STAR 5/16"